As a successful Forex Trading Coach, Vic Noble has always encourage traders to focus on just one strategy rather than constantly diluting their attention. The VicTrade is exactly that. Vic first introduced the VicTrade in 2006, over 9 ½ years ago, and the basic parameters have never changed. What has changed are a few enhancements and nuances that really super-charge this strategy, giving traders very narrowly defined entries with tighter stops which resulting in attractive reward to risk ratios. The VicTrade pattern sets up pretty much daily on something, making it very appealing to traders no matter where they live. This is a simple setup that works in trending markets, non-trending markets, and very effective as a counter-trend trade. Don’t forget: this is a day-trading strategy, and because you’ll be trading at market extremes, small price movements can lead to positive results. The VicTrade is based almost exclusively on price action, the only indicator being MACD. There are no other indicators, just price action and high-probability price reaction levels. 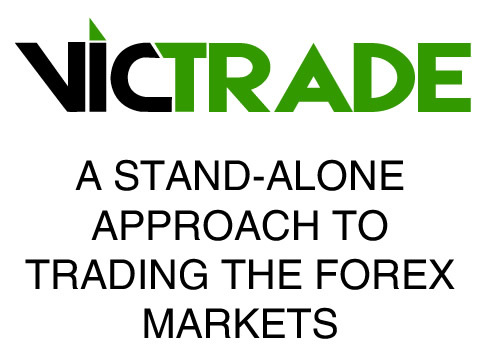 I developed the new VicTrade course with a couple of goals in mind: First to provide traders with a stand-alone, single approach to trading the Forex. Secondly, to show traders of all skill levels how to find these trades, how to enter them, where to place stops, take profits, etc. If you’re truly committed to a focused approach to trading the Forex, I sincerely believe that this course will be a game-changer. I am excited and looking forward to helping you with your trading goals. So even if you've been exposed to the VicTrade, you’ll find information in this course that adds great value to an already-great strategy. This is a short and very to-the-point course – no fluff, no fill. Just relevant content delivered in easy-to-understand format.